Swaziland has its own set of driving laws which any motorist must observe while driving on public roads. While driving in the major towns can be a nightmare, operating in the countryside is quite therapeutic. Rainy seasons in the country also make driving a difficult task, even dangerous. There are various driving laws set in the country. Every passenger in any moving car is required to wear a seatbelt to reduce the probability of injury and death during a road accident. 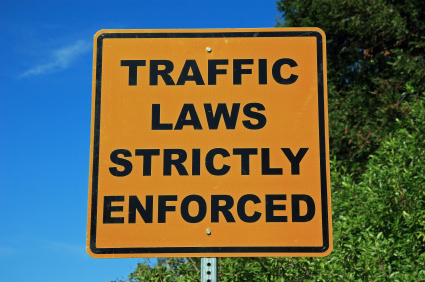 Only a few observe this law as reports indicate higher passenger deaths compared to drivers. The law prohibits the driving of vehicle when under the influence of alcohol. One must not have more than 50 mg of alcohol per 100 ml of blood in the system. Traffic police are quite strict with regular checkpoints. Every driver is also required to possess a valid driving license and a passport copy when driving on public roads. Any driver in Swaziland is required to be 18 years, and above while 25 years, age minimum is required for those using rented cars. The law limits speed to 80 km/h on open roads, 60 km/h in town roads and 120 km/h on highways. Safety cameras warning devices are allowed in Swaziland though drivers are advised to stick to the set speed limits due to the bad road conditions. There are no laws governing child passengers in cars. Rules of the road are similar to international driving laws such as where drivers are required to keep to the left. It is also illegal to use mobile phones while driving. 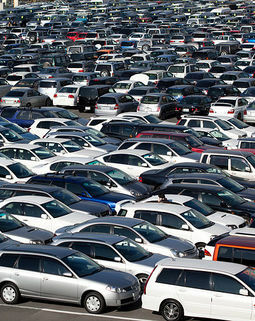 Though cars rarely get towed, you should only park your car in designated parking areas. Parking issues are usually dealt with by the police but very infrequently. Drivers are also advised to be alert as carjacking, which is a crime, is quite prevalent. Motorway signs are usually green with white writing. However, Swaziland has only one standard motorway which is the MR3 that joins the border to Mbabane and Manzini. There are no many traffic lights in the country. Due to high poverty levels, on spot fines are mostly asked as cash instead of penalties. However, you are advised to ask for a ticket and pay fines for the correct procedure. The emergency number is the standard UK number, 999. It caters for all emergency services.